Now, if you follow me on Instagram @perfectcanvasay you may know I was on a beautiful holiday in Singapore and Malaysia. If you don’t follow me you have a lot of Instagram pictures to catch up on. (Not really haha). I stayed in Singapore the longest so you’ll expect to hear a lot more of Singa. It’s a very clean and organized city with so much to offer. Must I add it’s also an extremely humid island! Hot, muggy and sticky. That’s all I felt when I stepped outside of my hotel. I’m definitely not a huge fan of blistering temperatures. In actual fact I don’t think I ever experienced it. Summer in Sydney is a different kind of hot. 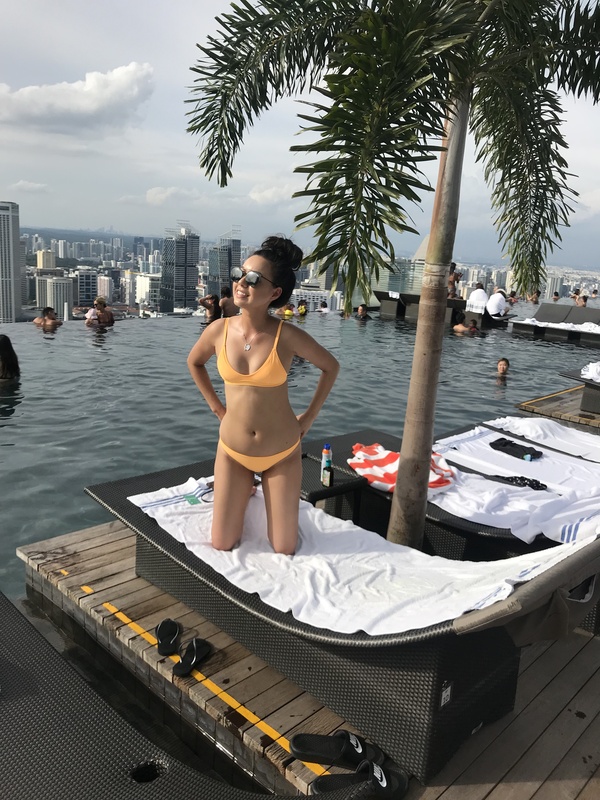 I used a few products to essentially help me battle the climate in Singapore. La Roche-Posay Toleraine Ultra Light moisturizer: It’s the perfect base for a scorching hot day. The lightweight formula kept my makeup in tact and my face hydrated. Alternatively I used the Anthelios XL Ultra Light SPF 50+ to protect my face from the harsh rays. Even though it’s overcast in Singapore 3/4 of the day it doesn’t mean the sun isn’t there. Always remember to apply sunscreen on your face even when it’s overcast. On days where I went to the beach and water parks I stayed clear from foundations. I used the Mecca Max Life Proof Cream concealer to hide the dark circles under my eyes. Banana Boat Sport SPF 50+ is perfect for everyday use. I used this sunscreen almost everyday only because my beloved mother forced me. On a side note I still managed to get a slight tan. Yay! The Mario Badescu facial spray is actual holy grail especially in hot temperatures. I used it every time I felt like my face needed refreshing which was probably every few hours. I mean even my brother used it. It’s a product for everyone! P.s. don’t forget to rock some trendy shades and a nice sun hat. I’m loving shades by Quay Australia at the moment. I’m only purchasing them for their funky designs. These are just a few products I used to protect my skin from the heat. I’m interested to know what everyone else uses?